A driving instructor, prison officer and supermarket manager are amongst sixteen new police officers are being officially sworn in at a ceremony this evening. The recruits, (above), who range from 22 to 47 years old, started training in October 2013 and tonight will attend the ceremony at Police Headquarters, Ripley at 6.30pm. Constable 14363 - Nathan Grant. 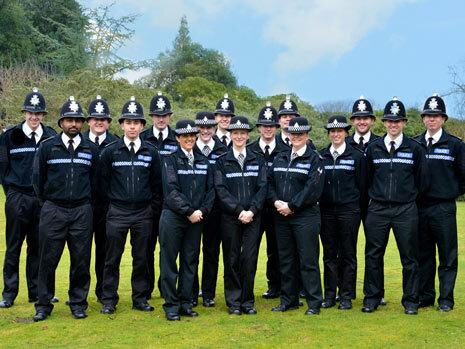 Chief Constable Mick Creedon (left), said: "I am delighted that the Constabulary has recruited 16 new officers who will be based across the county. 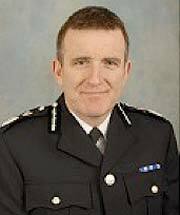 "We are now bringing fresh blood into the organisation and it is tremendous that there is a group of new recruits who will now join the officers and staff of this force." The attestation ceremony will be attended by Assistant Chief Constable Karl Smethem, Police and Crime Commissioner Alan Charles, High Sheriff Derek Mapp and Philip Hickson JP, who accepted the oath.